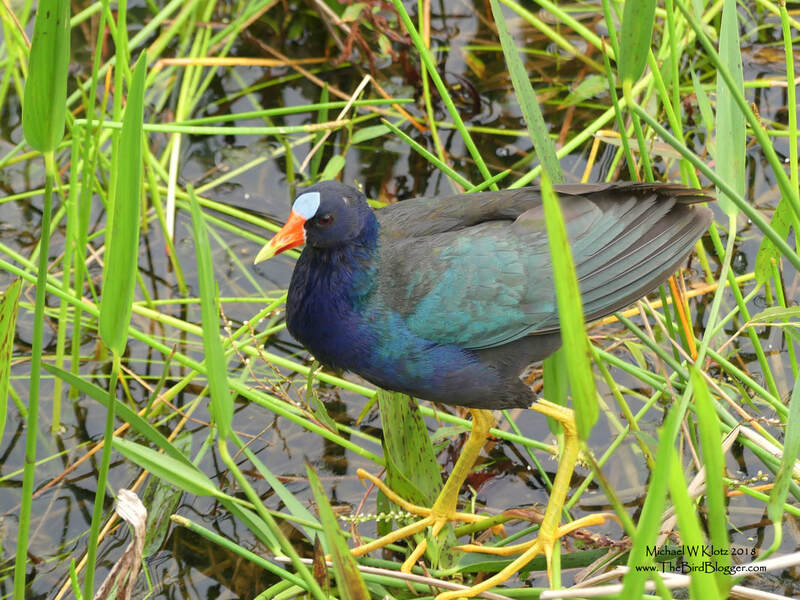 Purple is not a common thing to see in the swamps of South West USA, but this handsome bird with the candy corn beak is one of those that sticks out as memorable. This parent was feeding several young in the tall grass just off the boardwalk at Green Cay Nature Center. One of the other notable things about this bird is the giant feet. The long toes allow it to spread the weight of the bird over a larger area allowing it to walk on the reeds and aquatic vegetation.